Emergency Fund- This fund is to be used when unexpected expenses occur that you could not have foreseen. For example, when our main water pipe collapsed the week before our wedding. Or when my dog took ill and was hospitalized for a week. The amount of money that you have in this account can vary depending on what your expenses are but I would rather have more than less. So here think in the range of $1000 and $1500 as your minimum. Another way of looking at it is what is your medical and/or home insurance deductible? Make that your starting point. More still total all of your monthly expenses and multiply that by three. That number is your goal. Once you have reached your financial goal here, I would suggest that you continue to save but you have the luxury of redirecting your savings towards building up your long term savings account or an immediate purchase. No one knows when disaster will strike or how much it will end up costing you in the long run so continue to build this account. Savings- This is money set aside with a purpose for the future. This can be money that you are putting aside for your retirement, money to build so you can invest it later into an IRA or stocks, or even the purchase of a car. You can have various savings accounts set up designated for each specific item or you can keep it all in one and keep a ledger of how much money is set for each specific thing. Personally I have three: long time savings, immediate savings, and specific item saving. Long time savings for me is the money that I am setting aside for retirement. My job does not offer the traditional 401K that many do. I have a TRS account which is the Teacher Retirement System of Texas. Money is set aside for me out of each paycheck that my District has predetermined. I am not able to add more into it nor is my District matching my contribution. Still it is money set aside for me for one day. Since I never saw it to begin with, I never missed it. But I know that this will not be enough to guide me through retirement. I sat down and took my monthly income and subtracted every single expense that I have including money set aside for recreation. When I saw how much money I had left each month I then figured out what was the most I could transfer into my long term savings account each month without putting myself in a bind. Then I set the automatic transfer between accounts for each month on the same day. Do not be discouraged if at first it is not the amount of money that you want to be setting aside each month. I started out only being able to save $25. As your finances change, increase the amount of your transfer little by little and you will see how quickly it can build. Remember anything is better than $0. Stick to it. This is not for now; it is for you for later. By the end of this year my plans for this account will change. I will be taking a portion of this money and converting it into an IRA. Then I will continue to save as I did before and continue investing in my future. Immediate Savings- This to me is like an extension of my emergency fund. If my unforeseen circumstances lasts longer than foreseen or prove to be more expensive than what I had set aside, then I have this account to back me up. In this account I like to deposit all the "extra income" that comes my way such as what I make with Ibotta. If you haven't already tried it, it is an easy way to make money while grocery shopping. You get instant rebates in cash deposited into your bank account. Nothing is easier than that. Join my team here. Other extra income can be items sold, baby sitting, or your #sidehustle. Again how much money you have in here depends on you but I feel comfortable having a minimum of $1000. Specific Item Savings- This is the account that will have the most movement. Money moving in and money moving out. I like to think ahead at least three months in advance. From there I think what is coming up that will be a bigger expense for my family. For example, both boys have birthdays in the summer. I knew how much I was willing to spend on each birthday party and starting moving money aside with ample time to allow me to build up the savings and do the shopping so I wasn't running around the day before getting everything ready. You can also use this account when planning for a trip, scheduled tire purchase, or Christmas. 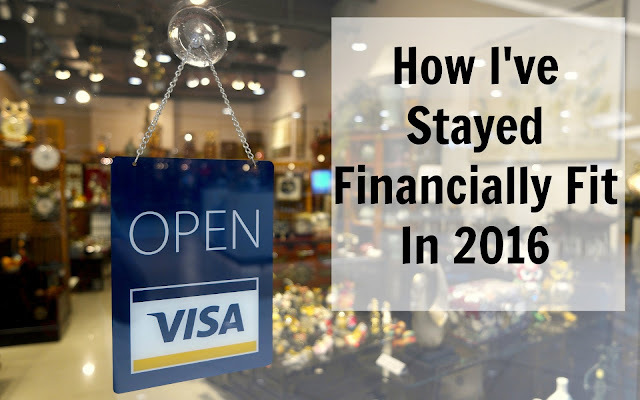 It is also a great way to save for any purchase without feeling the immediate hit to your finances. While my accounts are very specific and I do not like to mix them up I will say that when faced with the loss of employment or long term chronic illness, I do see how it would be necessary to reach into both accounts to keep afloat. There is nothing wrong with that. You worked hard for your money. Now let your money work hard for you while you figure things out. Let that be the least of your worries. But always with the mindset that you will work again to rebuild each account once you are able to. At the end of the day money is just money. It is not the answer to everything but lets face it, it sure helps to have it. Instill in yourself the discipline to manage your money with your head and not your heart. Different situations will arise where your finances will be tapped into but know that you will be alright since you thought ahead and saved. Early one my husband and I created an emergency account. It made me feel so much less stress knowing we had something just in case. Then we slowly worked on our savings. It really is a great way to manage money. I wish my husband and I had done this initially. We are only a year and a half into our marriage but still. At that point it wasn't a concern, but man how things change! All great tip! I finally paid off loans and debt a while back and saving/investing now. Good for you! The sooner the better. I lament all my wasted time, but now am diligently working on all of that. That Excel spreadsheets sounds dreadful as all helpful items tend to be. Glad he has that skill set and the earlier you start and commit to it, the better both of you will be. Thanks for clarifying the differences between all of these. 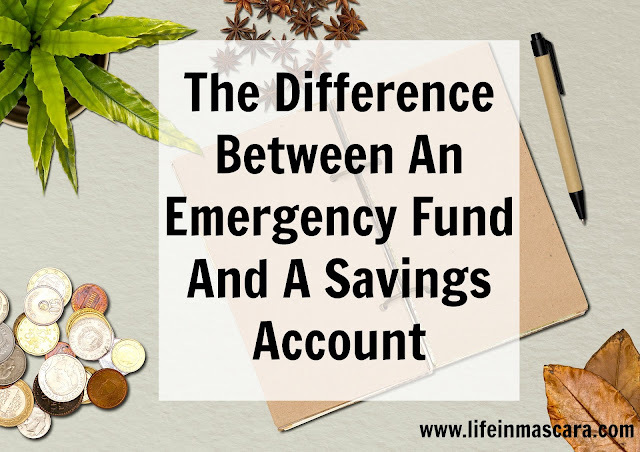 I feel like the lines between my savings account and emergency fund. This makes things so much more clear. Of course! Money can be a murky area to tread in.